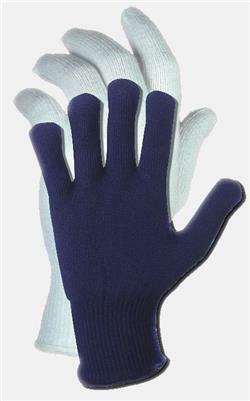 This 13g glove is constructed using blue thermal poly/lycra fibers. The unique components of this product allow moisture to be wicked away from the hand keeping you dry, while the thermal characteristics help keep the hand warm. Its superior insulating properties make this glove a terrific choice to be used as a liner. Fit and form of the glove allows for one size to fit most hands.